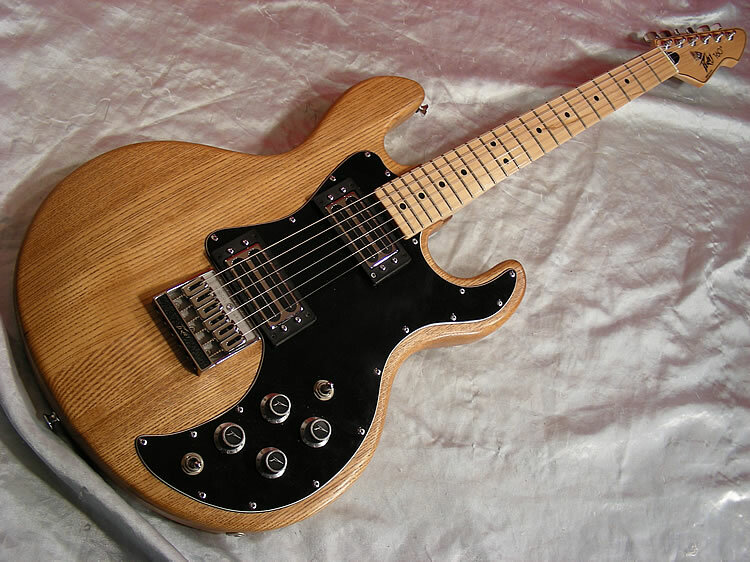 The Peavey T-60 was the first electric guitar marketed by Peavey, who now sell a huge variety of guitars and amps, as well as PA equipment and more. It lasted 10 years, from 1977 to 1987. It was also the first guitar ever made with CNC machines, which now form an integral part of mass-production of guitars. It was designed by Peavey founder Hartley Peavey and Chip Todd. The T-60 has an ash body and bolt-on maple neck and 21-fret maple or rosewood fingerboard, similar to Strats made by Fender around this time. It has two humbuckers, which on the T-60 usually have blade-shaped pole-pieces as opposed to the individual pole-pieces usually found on pickups. According to reviews the maple neck is very thin, almost equivalent to that of the famed Ibanez Wizard profile. The bridge is similar to that of a Fender Telecaster, an â€œashtrayâ€ bridge, although no pickup sits in it. The body is a typical two-cutaway job, although it has roughly equal-sized cutaways as opposed to offset ones like on a Strat. It came in a variety of finishes, usually solid black or white, a transparent sunburst, or plain natural. There was a large black scratchplate which housed four controls and an input socket. Sometimes this scratchplate would have the Peavey logo inlaid into it as well. The T-60 was successful in the 70s and 80s. Many people had one as a first guitar and their strength shows through in the fact that examples show up on eBay with barely a scratch on them. Because they are not particularly rare or sought-after, prices are generally around Â£300.